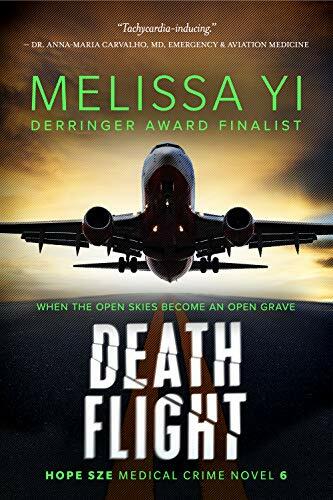 Our Melissa Yi has a thriller coming out Sept 6, and it sounds like a nail-biter. When Dr. Hope Sze flies to Los Angeles to reunite with her soul mate, she expects Botoxed blondes with Brazilian wax jobs, not terror at 35,000 feet in the air. Yet on their way home, with 1000 miles to go and nowhere to land, she and Dr. John Tucker must strive to save one man’s life. Especially Hope, because minutes before, she might have accidentally helped to kill the man gasping at her feet. or go here to learn more about Melissa. And her’s her book trailer! Thanks so much for having me, Jenny! You’re awesome! Argh, please ignore the typo in the Amazon description. It’s now locked, and no matter how much I beg Amazon, the book description is immutable until it goes live. Waaah. And after all that back and forth, I forgot to go in and change “gasping.” ARGH. Death Flight seems to collect typos and other writing misdemeanours. Just too deadly! I like the idea conjured in my head by the name, “The Derringer Award.” Well done. The Derringer Award was created up by the Short Mystery Fiction Society because a a short story can pack a wallop, just like a Derringer hand gun. So I can’t take any credit. But I like the way your mind works! Intense! I have a friend who loves suspense books, so this sounds like a perfect present for her! Ooh! I hope she likes it. Thanks, Bethany! Went to Amazon UK and downloaded a sample of the first in the series (I’m methodical); also the one about the librarian and the chef, in case the thrillers are too scary. Thanks! Hi Jane, the first three books in the Hope series aren’t scary. And the chef and librarian definitely aren’t. Thanks for looking! Thanks, Deborah! I always enjoy your comments. Thanks, Robena. I try not to be dull. I may not always succeed, but it’s all good. (-: Remember in the 70s when they had all sorts of on-the-plane books? I think there were ghost flights and ghost stewardesses (my particular field of interest, especially when I was 10), and plane crashes into all sorts of unlikely situations. 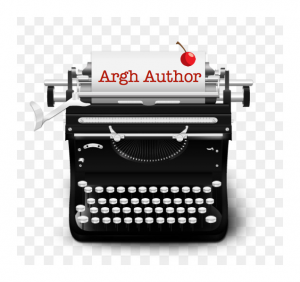 It’s one of those genres that are really fun as fiction! Plus, add doctors, and you’ve basically got my mother’s dream crossover right there. It looks great, and here’s to your new book! Hee hee. I did see the Airplane! movie, although I can’t remember much of it. My husband had to remind me of some of the jokes. I think that one had the “striker” gag, which I found disturbing as a kid. I’d rathe have ghost stewardesses. Oh my goodness, how could I have forgotten the Airplane! movie? Was that in the 70s as well? The big gag I remember is his “drinking problem” so I can’t have been very old when it came out, LOL. Surely. How could you have forgotten “Don’t call me Shirley”? That’s my fave.